Here’s what’s up in the world of television for Wednesday, October 25. All times are Eastern. 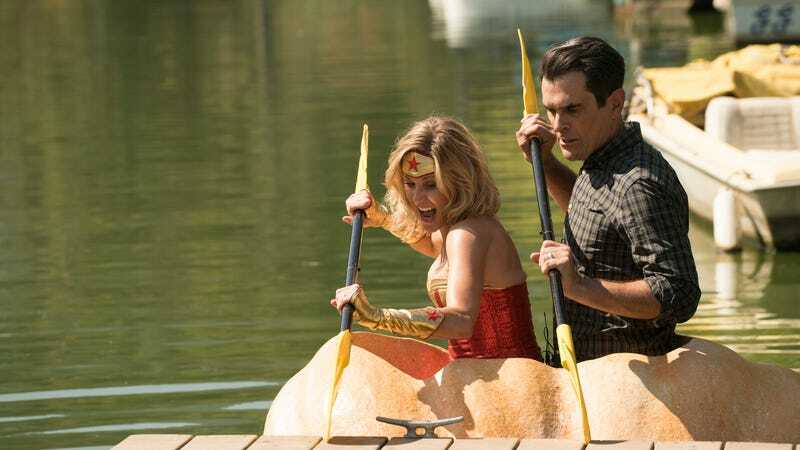 Modern Family (ABC, 9 p.m.): It’s the spookiest time of the year in the Dunphy household, but Claire and Phil seem to be the only ones excited about it. Plus, Mitch and Cam hit the breaking point with Jay’s endless house remodel. Kyle Fowle will report back on whether the frights are also funny. Hero Dog Awards 2017 (Hallmark, 8 p.m.): Who’s a good boy? These dogs are, as this four-years-and-running awards show pays tribute to our four-legged friends and the innumerable ways they make our lives better. Basically just an excuse for an array of feel-good stories about dogs around the country, while getting in lots of nice plugs for the American Humane Association.